Don’t be fooled by imitations, the Custom Snapper® and Mini-Snapper have set the utility industry standard for guy guard production and sales for over thirty years. 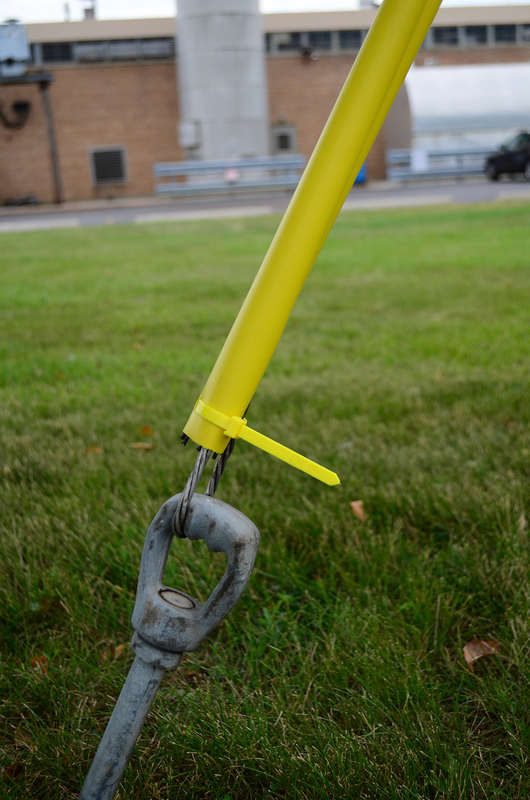 Guy guards are a vital safety component of any electrical wire system as they cover and alert lineman and pedestrians of guy wire and guy systems supporting utility poles and telecommunication towers. Today guy wires are being used for a wide variety of applications including supporting wind turbines, radio towers, large tents, ship masts, as well as obstacle and ropes courses - all of which require guy guards to ensure the safety of everyone involved. Made of UV stabilized Polyethylene, the Snapper line resists fading and deterioration from any weather condition. Designed to fit guy wires from 3/16” to 5/8” diameters. Heavy duty Panduit® plastic cable ties are available on one or both sides of the Custom Snappers®. A. No hardware and no cable ties. B. 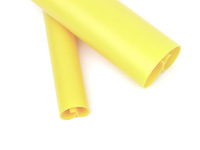 Cable Tie – Heavy duty Panduit® plastic cable ties are available for one or both ends.